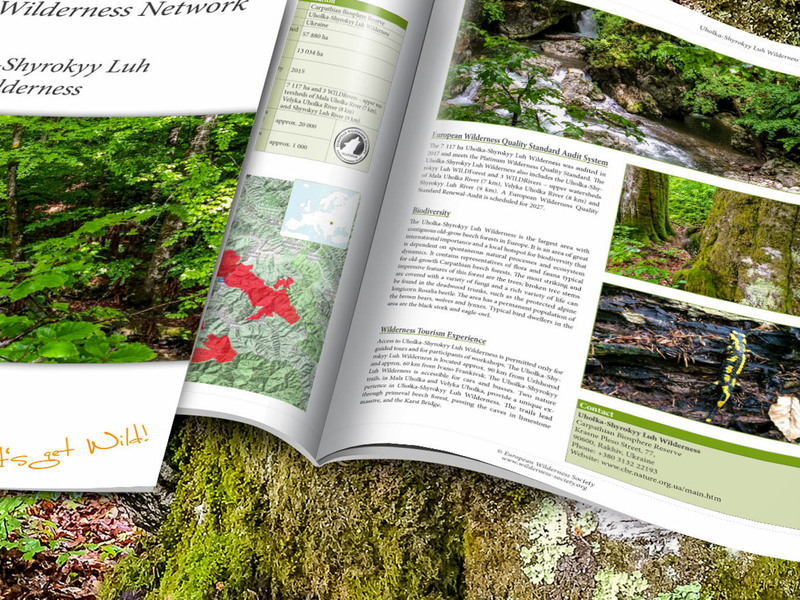 Uholka Shyrokyy Luh Wilderness - New Publications! Uholka Shyrokyy Luh Wilderness – New Publications! Today we are releasing two new and up to date Wilderness Briefs about Uholka Shyrokyy Luh in Ukraine – for the Wilderness and the WILDForest that are present in the Carpathian Biosphere Reserve. Both Uholka Shyrokyy Luh Wilderness and WILDForest are platinum-quality standard, which means they represent some of the most pristine and Wildest lands in Europe. They are home to many rare and endangered species, and include areas of untouched, old-growth forest. They are therefore areas with high international importance, and are part of the UNESCO World Heritage Site – Ancient and Primeval Beech of the Carpathians and Other Regions of Europe. Both areas are also part of Carpathian Biosphere Reserve, which works closely with the European Wilderness Society. For this reason, there are many areas in the European Wilderness Network which are part of the Carpathian Biosphere Reserve. These include two Wilderness areas; Uholka Shyrokyy Luh and Maramarosh. Additionally there are three WILDRivers; Shyrokky Luh, Velyka Uholka, Mala Uholka and two WILDForests; Uholka Shyrokyy Luh and Kuziy-Trybushany. All represent outstanding examples of Wilderness and the natural state of the Carpathian mountains. Is Austria prepared for the comeback of the wolf?